With all the bad news lately about injuries and people having surgery on their shoulders I thought it might be uplifting to share a success story. Last year, on the 1st leg of a worldwide climbing tour, Australian powerhouse Chris Webb Parsons badly injured his shoulder in Hueco Tanks. 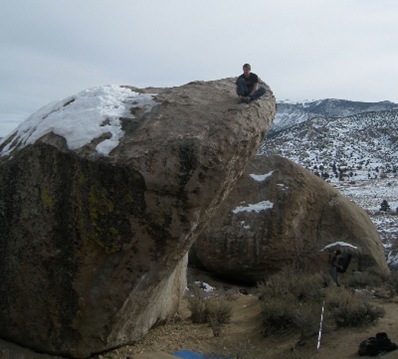 After almost a year of surgery and recovery, he found himself in the Buttermilks of Bishop, CA for his first day of real rock climbing the other day. Let’s hope this is a sign of many more uninjured days of climbing to come! “Nasty cracking sounds” Yikes! I wouldn’t call this normal but who knows? Man, you must have supersonic ears .